As we all know, Android is a mobile operating system developed by Internet giant Google. There are hundreds of manufactures across the world making Android phones and tablets. However, Google didn't build any Android device by its own in the past. The Google Nexus series was OEMed to other companies like LG, HTC and HUAWEI. The thing changed a little bit in this year as Google announced its own Android brand called Pixel. It will be the first phone made by Google itself. The phone is shipped with the latest Android 7.0 OS and has an astonishing camera DxOMark Mobile. It is currently ranked the best Android phone in 2016. So if you already bought a Pixel phone or plan to own one, then the first thing you have to figure out is how to transfer data from the old phone to Google Pixel or Pixel XL. The following tutorial will demonstrate how to achieve that in a few simple steps. If you switched from Android, then the data transfer process will be much easier than other brands as Google Pixel is based on Android OS. Please follow the tips below to transfer the content to your new Pixel phone. For Contacts transfer from Android to Google Pixel : The simplest way is to transfer contacts with Gmail or Outlook if you already used them for contacts sync. First, login Gmail or Outlook web page and export contacts in CSV format. Then connect Pixel phone to a computer and transfer the exported file to Pixel phone. Finally, launch Contacts app on Pixel and select "Import from SD card". All the contacts will be saved to the phone in a few minutes. For SMS transfer from Android to Google Pixel: text message transfer is a bit harder as it is not a standard format for communication. First you have to use SMS backup app to backup the text message first, then install the same app on Pixel phone and choose to "Restore SMS Message ". For photo and media transfer from Android to Google Pixel: First, connect the old phone to a computer and navigate to the photo/music/video folder. Copy them to the computer. Then connect Pixel phone to computer and paste the folders to the phone. Alternatively, if you backed the files in Google Drive, you can simply install Google Drive on the Pixel phone and sync the folders. However, this will take a lot of time if the download speed is low. The greatest drawback of the above method is time consuming. You have to transfer and sync the content one by one. Also, the data would be messed up if you didn't do it correctly. So if you prefer a more secure and comfortable way, then please follow this Android to Android transfer guide instead. All the data will be transferred in minutes after a few mouse clicks. iPhone is much different from Android, so the data transfer process is more challenging. However, don't worry too much about it as we are in here for help. 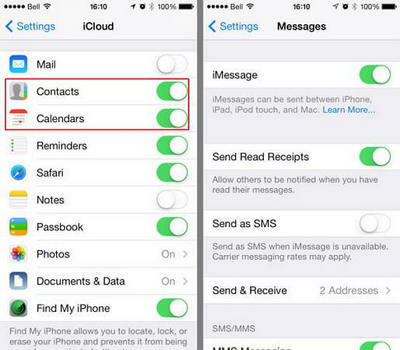 For Contacts transfer from iPhone to Pixel: First, turn on iCloud sync on your iPhone. 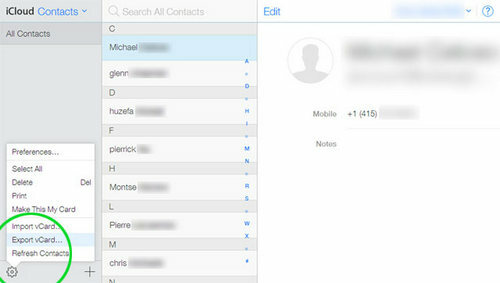 Then login icloud.com and click "Contacts" option on the main panel. Now, click the little gear icon on the left lower corner and select "Export vCard". All the contacts on iPhone will be downloaded to your computer in a file. Connect your Pixel phone to computer and copy the exported file to the phone. 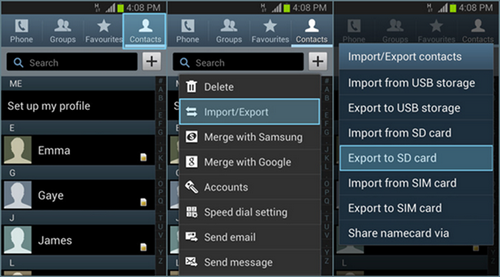 Now, open Contacts app on Pixel and select “Import from SD card”. Then, locate the file on Pixel phone and click OK.
For photo/music/video from iPhone to Pixel: First, copy and paste all the corresponding folders on Pixel phone to a computer. Then, download and install iTunes on your computer. Launch iTunes and import all the folders to it. Finally, sync iPhone with iTunes. For sms transfer from iPhone to Pixel: The only option left is by using Phone Transfer app. You can check this guide instead. Android and iOS are completely different. If you still have problem with the above method or want to a more efficient way, then phone transfer is the best option in here. 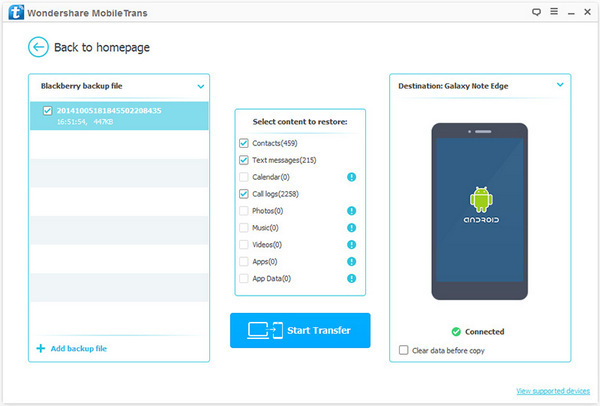 It can transfer all kinds of staff from iPhone to Android within 1 click. Not believe it? Then here is the iPhone to Android tutorial you should definitely check out. Blackberry used to be the most popular smartphone but for now, more and more Blackberry users are moving to Android. The most serious problem with Blackberry device is the short number of available apps. So the transfer process is different from the ones mentioned above. First, you need to backup your phone with Blackberry Desktop software. 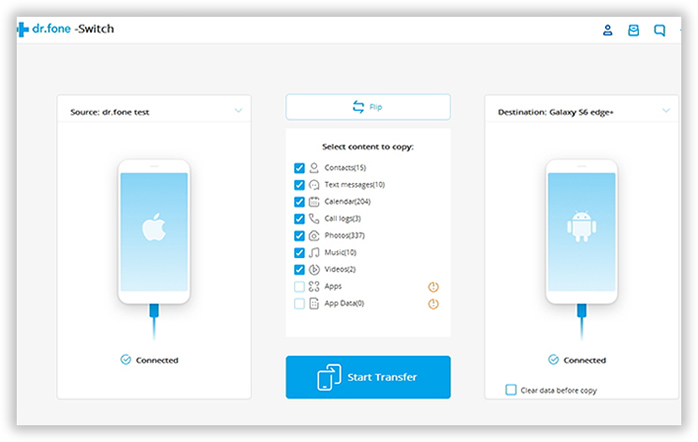 Then download and install Phone Transfer app on a Windows PC or Mac. Now, open the program and connect the two phones to the same computer via USB cable. Now select Restore from Backup and choose the location of Blackberry backup file. Finally, select the items you wish to transfer and click "Start Transfer " button to begin the task. More details can be found in this tutorial. People are now changing their phone more frequently and there are a number of ways you can find out to transfer the data from one phone to another. Manual transfer is free but it takes hours to complete. You can do it pretty quickly with phone transfer software. However, you should pay a few bucks to use the full functions. So it is all up to you.